place; home; landscape; memory; the shape of the book; the past…..
Click on the options at the top of this page to explore my website, read my blog, and learn about my two published books, Inscription (novel) and Sudden Arabesque (poetry). Hopkins died with his great gifts known to only a few, but is now one of the most beloved and influential poets in the English language. In September 2017, as part of Cheltenham Poetry festival's series of talks by poets on poets, I gave a talk offering some background on his life, short readings from his poems and notebooks, and a personal exploration of his compelling voice. I'd be delighted to give this talk or an adapted version of it to more poetry lovers. In stock at Suffolk Anthology bookshop, Cheltenham. It can be ordered from other bookshops. For more about this book, choose POETRY from options at the top. 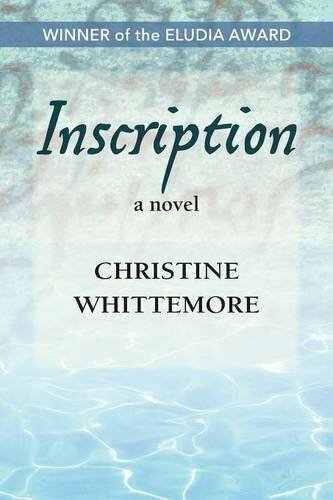 My novel Inscription (Sowilo Press, 2015) is available in bookshops or from online booksellers; paperback and Kindle editions. Winner of the Eludia Award; semi-finalist, Virginia Commonwealth University First Novelist Award 2016. Inscription is set in first-century Britain and Rome, and also in the late twentieth century. A story told in the interwoven voices of two women, writing two thousand years apart. "A great read...a very promising first novel;" "...excellently researched....a delightful and poignant tale...."
To find out more, choose NOVEL from the options at the top. "Look after this book when I am gone, Lucilius. Keep it well gathered and tied. Sew up the stitching, should it loosen. Bind all the pages together. When you hold this book, you are holding something of Tilla and of me."